The second inspection was carried out without any problems due to the experience and willingness of Cheh Plast to produce and offer to its clients qualitative production. The Certificate was prolonged for two more years. 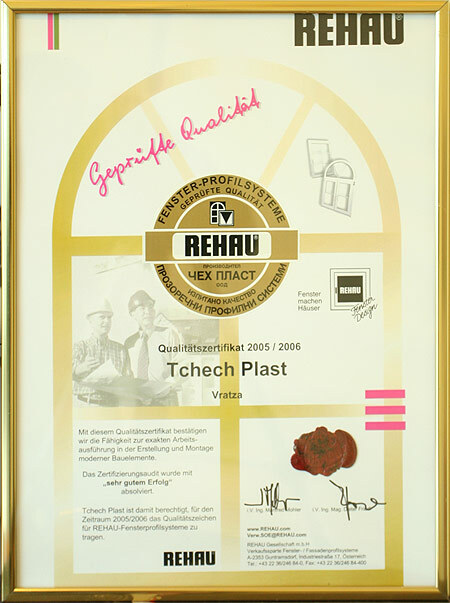 During that time we didn't stop to develop and implement new products of our system supplier Rehau.